The oil refinery in Delaware City has a long history of serious or fatal accidents tied to lax safety procedures, and of major environmental violations and toxic releases. Now yet another accident has hospitalized three workers with burns, including one in critical condition. Fire officials did not elaborate and PBF Energy, which has owned the troubled refinery since 2010, did not return a request for comment. PBF Energy owns five refineries, including one in Paulsboro, New Jersey. The injuries Tuesday were the first serious ones reported at the refinery since 2015, when a flash fire blamed on faulty maintenance procedures sent one worker to the hospital with burns. Earlier this year, the refinery agreed to pay $218,000 in a settlement with the state Department of Natural Resources and Environmental Control for violating a crude oil transport order and pollution release limits. Shawn Garvin, who heads the agency, said Wednesday that environmental regulators won’t be investigating Tuesday’s incident because no emissions occurred. Garvin added that DNREC officials were at the plant to monitor the situation. House Majority Leader Valerie Longhurst, who represents the area, said refinery officials contacted her Tuesday and said new contractors had been injured and operators suspect the cause was some sort of gas release – not an explosion – despite what the Fire Marshal’s office had originally reported. “It’s tragic when anybody gets hurt at work, especially when they are dealing with some of the chemicals they are dealing with at the refinery,’’ she said. The Democratic lawmaker added that the refinery “can always do better’’ to prevent disasters at the complex, which she said employs more than 300 workers. 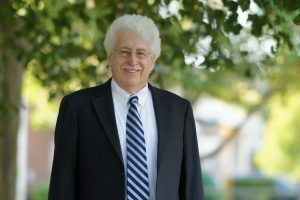 State Rep. John Kowalko, a Newark Democrat, was once a machinist and shop steward at the refinery. He remembers when one worker was killed in a 2001 explosion, and two others died when they fell into a tank in 2005. “We had to work hard to maintain a safety margin because the refinery business, as dangerous as it is, it’s also easier to be profitable if you don’t have to put in all the safety requirements,’’ Kowalko said.